CBS had each of the week’s eight most-watched prime-time programs, with its coverage of Saturday’s men’s Final Four accounting for the top two, for its 11th victory in 12 weeks. Texas Tech’s 61-51 victory over Michigan State in the only Final Four game to air entirely in prime time averaged 15.84 million viewers to finish first among prime-time programs airing between April 1 and Sunday. Official viewership was down 15.9 percent from the similar game when CBS last aired the Final Four in 2017, a 77-76 victory by North Carolina over Oregon that averaged 18.825 million viewers. Official viewership for nearly all forms of television is down on a year-to-year basis primarily because of increased viewing of streaming programming, including programming that is simultaneously shown on traditional television and streamed. The viewership figure for the game including streaming viewership was not immediately available. Final Four coverage annually rotates between CBS and cable’s TBS. The 27-minute “bridge” show between the Final Four games was second for the week, averaging 13.768 million viewers. The 21-minute overrun of Virginia’s 63-62 victory over Auburn into prime time in the Eastern and Central time zones averaged 18.204 million viewers. The runover is not considered a separate program but is included in the weekly average. The week’s other programs to average more than 10 million viewers were “The Big Bang Theory” (12.225 million), “NCIS” (11.898 million) and “Young Sheldon” (10.508 million). 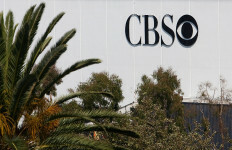 CBS averaged 8.63 million viewers for its prime-time programming, its 16th victory in the 28-week-old 2018-19 season. NBC finished second for the second week in a row after three consecutive third-place finishes, averaging 4.57 million viewers. Its most-watched program was “The Voice,” ninth for the week, averaging 8.517 million. ABC was third for the second week in a row after three consecutive second-place finishes, averaging 4.12 million viewers. Its most-watched program was the medical drama “Grey’s Anatomy,” 18th for the week, averaging 6.86 million viewers. Fox averaged 2.47 million viewers for its 15 hours of programming to finish fourth for the 12th consecutive week. The procedural drama “9-1-1” was its most-watched program, averaging 6.163 million viewers, 22nd for the week. ABC, CBS and NBC each broadcast 22 hours of prime-time programming for ratings purposes. ESPN’s coverage of Baylor’s 82-81 victory over Notre Dame in the NCAA women’s basketball championship game Sunday was the week’s most-watched cable program, averaging 3.689 million viewers, 44th overall. Viewership was up 4.3 percent from ESPN’s coverage of last year’s championship game, a 61-58 victory by Notre Dame over Mississippi State that averaged 3.536 million viewers. Fox News Channel returned to the top of the cable network ratings, averaging 2.279 million viewers for its 11th victory in 12 weeks. MSNBC was second, averaging 1.601 million viewers, followed by HGTV, which averaged 1.218 million. The Monday episode of the Univision biblical telenovela “Jesus” was the most-watched Spanish-language prime-time program, averaging 1.747 million viewers, 79th among broadcast programs. Its overall rank was not available. Univision was the most-watched Spanish-language network for the 23rd consecutive week, averaging 1.38 million viewers. Telemundo finished second, averaging 1.13 million viewers, followed by UniMas, which averaged 360,000, Estrella TV, which averaged 240,000, and Azteca America, which averaged 70,000. ABC’s “World News Tonight with David Muir” was the most-watched network nightly newscast for the 19th consecutive week and 70th time in the past 71 weeks, averaging 8.14 million viewers. The “NBC Nightly News with Lester Holt” was second, averaging 7.619 million viewers. The “CBS Evening News” averaged 5.692 million viewers. It has finished third each week since the week of Sept. 25-29, 2006. Figures provided by Nielsen for traditional viewership are only one measure of a program’s popularity because of increased viewing of programming on a streaming or delayed basis.